Zaron gazes out at the citizins of Mittelmarch from the podumn as he prepares his opening. Smiling to be brave even in these grim times he says "Greetings my friends, and thank you for coming, I have brought everyone here so that we can discuss our most current and dire prodicament yet, the destruction of our walls! We most rebuild them and quickly if we are to survive. I ask now for your input on how to best accomplish this. The floor is now open." With that Zaron looks to the populus and waits. "Aye...I am a new arrival in this realm, yes, but I think perhaps I might be of some assistance...if not for a sketch or two than at least with a hammer. You wouldn't happen to have any drawings of the old walls, would you? Or perhaps offer a good description of them...I know not completely of the threats you all face and am not sure of the size of task this undertaking might be, but I will gladly offer myself and skills in any way they are needed." "Though Theodoric is still missing I would offer the assistance of my dwarven brother Baethor. I'm sure stone is going to be our best defense and he would know the stones of this region best." "Rave, I believe Mittelmarch to be in need of more protection than mere wooden reinforcements may provide. Nay, there are great concerns with forces such as Grish'nak. "Aye Isen, stone is the best option, but do we wish to stop merely at a wall? Why not an interior moat, or some sort of spiked fence? I see no reason that any of us would be mounting our own walls, but it may be a good idea to provide extra defense that might greatly hinder enemies in the case of an over-the-wall invasion..."
Storm standing in the back, a face of deep thought. Finally, after a few minutes of thinking, he came to a conclusion and with his decision he shouted out for everyone to hear.
" Why not double the wall with stone so that way the forces of this Grish'nak will have to double their efforts for when they break through one wall if it comes to that they have to deal with another one. 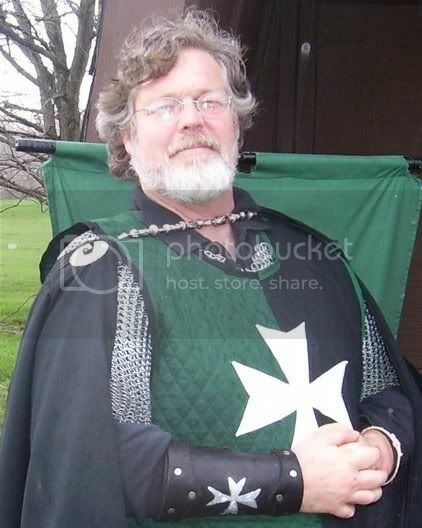 Though I may be from an entirely different universe, I know some of the ways of masonry." As he said that he sat back down in his chair. Looks to Jin, "Good point. There are more things than just walls that can protect us. Tho, I do not believe an interior moat to be a good one. Considering Moats would be bad for the inside of our walls for a couple reasons. One being them damned misqitoes. They breed like rabbits in moats I hear. Second, when a rain comes along and floods our moat would we not be the ones to suffer from it, since it would be only us in our walls the moat would threaten. I do fully agree with an outer moat, and possibly balista. I heard a rumor from the south of a device, a huge device that can hurl large bolts great distances. That would be great on our walls!" Storm got back up and looked over at Zalos general direction.
" I know of the balista. In fact I even helped in the making of one. I mostly remember the structure if that will help in any matter"
:::Watching the spectacle, Furey looked down the line as the rest of his men quietly shuffled in, with restraint. Furey held his tongue as the rest of the mittlemarchers discussed further on the walls and outer defenses of their Village. "Aye, Zalos, an excellent point indeed. I was thinking only of ways to slow down invaders once they had scaled the walls and hadn't thought of the effects we might suffer. Perhaps an exterior moat and then the interior wall of spikes and such? Siege engines are a nice idea, but do we have the manpower to give up individuals holding a line to man a massive weapon? In the long run I feel that having permanent defensive structures that don't require humans to operate them are a better option. Perhaps as we grow, we might afford ourselves a few of these ballistas you speak of. " Furey: And you dinnae' who is goin' tae'build this structure, don'tcha kin? This plan needs to be made firm, the winter season cannae'wait for you tae'decide... Action must be made if Mittlemarch is to stand... The orcish Hordes of the East allus'move to our lands during the winter seasons, You canna'bet that our ole'lad Grish will be back.. aye? Furey: An'ah supposin' ye'do get yer'floor plans laid... How many O'you will be round tae'see to the construction? Resources will need to be gathered... Man power is needed... Along with provisions.. Vittles. Me and my detachment are here to work, I suggest you get your plans laid down. Me and my lot will set up light defenses on your outskirts, and the rest of us off duty will be gatherin' lumber, steel, an Rock from your quaries.... Frost will be Blacksmithing and Graybeard and his lot of engineers, should be here in a fort-night with extra provisions from Aethenu. "Give the work to the bloody OGRE! It's all their fit for! (Stupid Oger)"
"Ah, a ventriloquist among us...this could well become interesting"
"Lord Furey is right...we need to make the plans firm soon. Improvements are nice, and can be made with time. But do we have the time to create an entirely new, experimental structure? I think not. My time here is short indeed -- a messenger came the other day to call me back to Stormhaven. I trust Zalos will be returning with me. But I will commit as much as I can toward helping lay these plans quickly as well as gathering the needed supplies. I make a stand that we build a wall similar to what was constructed before, with improvements we KNOW we can make in the time we are allowed. Ballistas and catapults and trebuchets are all very romantic but I do not believe we have the men to lose to the wall construction in favor of building siege engines. A ballista is little good if we only have a third of the wall constructed, no?" "Lord Furey has brought his comrades from Aethenu to help. We needn't be wasting their time bickering over gold-leafed trim and jewels when we've not even laid the foundation. We need a wall -- Furey's men have the knowledge to help us build it. I commit that we allow them the lead in this endeavor. The sun is setting on my stay here in Mittelmarch but I would like to leave knowing that it will be well until I can make another visit." "Lord Furey, consider me your servant for this endeavor. I will work as the sun rises and long after it sets. What I lack in time I will make up for with a strong back and stronger will. Give me a hammer, an axe, a pick, a trowel or a shovel. It matters not to me the work I do so long as the work is done." Furey: Tae'Seek Grish'nak.... Is tae'seek ones own end.. .And to bring a world of pain down on the kingdom from where ye'hail... Grish'nak is no light-purden to be shrugged off...Don'tcha kin? 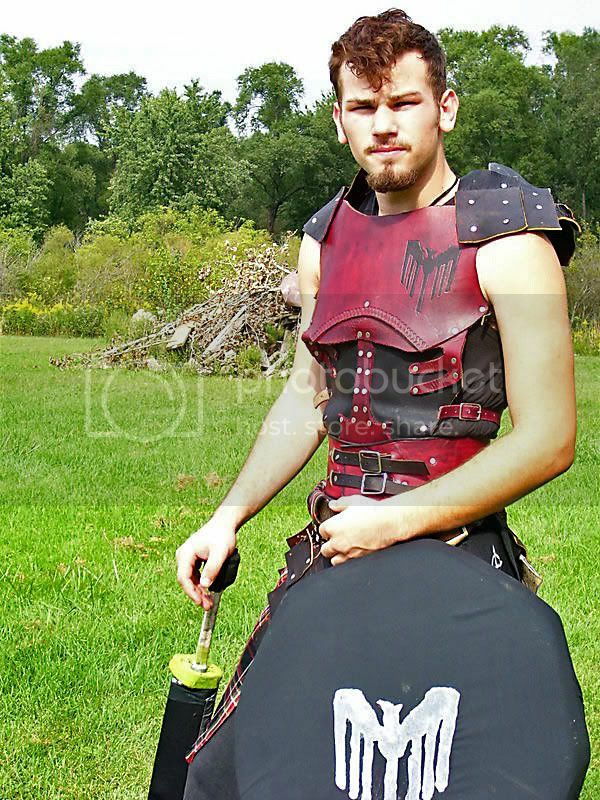 no orc tribe is a light burden but my friend had all redy taken out over 13 tribes befor i met him, he may be young in years, but his skills are thoughs of a vetaran of thousands of battels. if he fails he will take a good portion of any tribe with him, but hes after another as of now. "I hear as if this enemy is very powerful, but might ask, what tis an orc you speak of? As I have said i am not of your universe and where i come from we have no such creatures as orcs. If I am to face the enemy, i would like to know about my enemy"
"Grshhnak and his forces of dark elves, orcs and whatever else will be on our door before we set the first stone. Not enough time to build anything formidable. We'll be lucky to gather the all the rock and supplies before winter. Building probably won't start till Spring. I think walls 5 men wide, very tall, stone, we put archers on these walls, maybe rock flyer or engggn thing, moat & draw bridge. Abouta the fight, Mittelmarch will not survive full attack, we must find allies, able men must pick up swords and defend our land. " "Where is Baethor? We could use his help serching the Iron Mountains for good stone to mine." Zaron nods back to Furey as he again steps foward to speak. Nitchmar and Furey are both correct. We can not build stone walls quickly, but we need to make absolute plans very quickly so that we can begin to find the right type of stone. I personally have no idea where stone such as this can be found or the best way to get it out of the ground and transport it here. As for the defense in the mean time. I know little of stone working, but would it be a hinderance to build a wooden wall behind where we plan to put our stone wall in the mean time with rampants? I would think this might even help us as we built higher, but I am no expert on these matters.
" Arr... Be ye reminded that Zaron spoke simply of the need to RE-Build the walls... Aye, that'd mean that some portion of the old walls still remain... Broken, tis true enough, but repairs can be made from the rubble, like as not... and a palisade can be constructed on top of the half walls. There is a good pine forest that is all too near on the western side anyways... it's more than two bow shots off, but it provides a nice 'hidy hole' for theives and enemies, none the less... it should be cut down and thinned out. Then I say we construct a pike wall into the mote' at the base of the stone walls... Why women and children could do that! It could be done in short order too... if we quit the jaw'in. If we have the time after that, we can think about mudding and bricking the palisade... but by the power's I doubt that. we still need some allys, i am of no use as for mine have been dead for 300 years. "My allies are across the planes of existence. So I am of no further help besides the labor that is needed for the project." As Storm said this he left through the door to go help the grey bearded abbot.